Public transit systems that include transit bus and shuttle service have been advocated for reducing traffic congestion, fuel consumption, emissions, traffic crash risk, personal vehicle use, and overall associated loss of productivity. At most mid-size and large open-campus universities with many campus activities, a courtesy shuttle or bus service is an important mode of transportation around campus and in nearby vicinities. Given that on-campus traffic conditions, traffic congestion between classes, the nature of short-distance trips within or around the campus, and the difficulty of finding parking spaces, automated shuttle services have been recognized as a promising solution to alleviate these problems. Automated shuttle/bus systems have been designed or are under development by peer high-tech companies (i.e., EasyMile, NAVYA, Meridian) to cover short distances and predefined routes in multi-use environments. The innovative automated shuttle/bus systems currently on the market are capable of navigation, path planning and control, obstacle detection, or/and crash avoidance and have been successfully showcased in multiple scenarios. They can be further enhanced and equipped to communicate with other vehicles and infrastructure to exchange traffic and travel-related information and make travel safety and efficient. The University of South Florida (USF) is a major university with approximately 50,000 students enrolled. USF’s Bull Runner bus service has an annual ridership of more than 1.3 million around the Tampa campus and nearby vicinities. The Hillsborough County Metropolitan Planning Organization (MPO) has proposed a USF Area Multimodal Study in its 2040 Long Range Transportation Plan and has been consistently working on multiple transit circulator studies in past years to improve safety and mobility in the university area. USF’s Center for Urban Transportation Research (CUTR) has been partnering with and supporting the Hillsborough County MPO, the Tampa Hillsborough Expressway Authority (THEA), and Hillsborough Area Regional Transit (HART) on a wide variety of innovative research projects regarding connected vehicles and automated transit vehicles in Tampa area. The transportation needs on the USF Tampa campus, strong partnerships in Tampa Bay area, and CUTR’s experience provide full support for the proposed campus automated shuttle service deployment initiative. 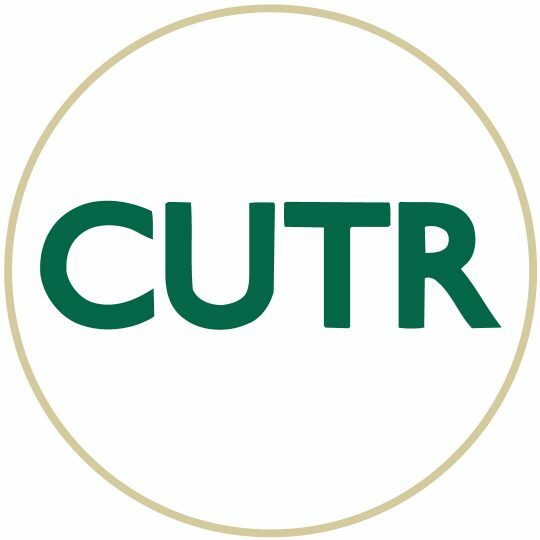 CUTR’s vision for USF’s connected automated vehicle testbed includes 1) an automated vehicle environment, 2) a connected prioritized Bull Runner, 3) safe and connected bicycles, 4) connected optimized traffic signals, and 5) connected wayfinding. This vision could lead the USF Tampa campus to become one of the major campus automated vehicle testbeds in the US, and the campus automated shuttle service demonstration could begin this vision. Most of the investment in and testing of autonomous shuttles in the past were in Europe. Two recent autonomous shuttle projects were conducted on college campuses—one at the Swiss Federal Institute of Technology in Lausanne in 2015 and one second at Wageningen University in the Netherlands in 2016. In the past couple of years, the demonstration or testing of autonomous shuttles has begun to draw attentions in the US. Since autonomous shuttles are new to the USF Tampa campus community, a demonstration and introduction of autonomous shuttles to students, faculty, and staff and allowing them to have actual riding experience are valuable and useful. The major benefits include but are not limited to 1) obtaining valuable input, comments, and support from potential users and stakeholders for future deployment on the USF Tampa campus, 2) technical involvement, assessment, and recommendations from AV experts on the USF Tampa campus and in the Tampa Bay region, and 3) support for detailed planning, designing, pilot testing and implementation. CUTR has been working with the Hillsborough County MPO on an automated transit shuttle project to explore the possibility of service on the USF Campus with future connections beyond and within the University area. This proposed project will complement the Hillsborough County MPO’s automated transit shuttle project and will leverage the partnerships and innovation needed to demonstrate the potential for deployment of the automated shuttle service on the USF Tampa campus. This project will assess performance, experience, and public opinion. It also will inspire faculty and student research engagement in the automated vehicle arena. The research team will develop partnerships with USF internal and external stakeholders and form expert groups for the automated shuttle initiative and will develop a roadmap to achieve campus automated shuttle service deployment. Two major companies involved in the autonomous shuttle industry are NAVYA and EasyMile. NAVYA, a French startup based in Lyon, has been involved in the development of driverless shuttles since 2005. Its flagship vehicle, the ARMA, was launched in 2015 is completely electric and autonomous. It has a maximum capacity of up to 15 passengers and can be driven at a top speed of 45 km/h. The ARMA does not require any driver or specific infrastructure and can adapt to any situation through obstacle avoidance. These shuttles are already meeting the transportation needs of municipal organizations and companies that have large-size closed campuses. NAVYA has expanded to demonstrations in the US with the recently-concluded trials in Las Vegas, NV, and forthcoming efforts in Ann Arbor, MI. Another French high-tech startup, EasyMile, specializes in both software powering autonomous vehicles and last-mile smart mobility solutions. The Easy Mile mobility solution, the EZ10, is an electric people mover that can transport up to 12 people. It has no steering wheel and no dedicated front or back and can adapt to any situation by avoiding static or dynamic obstacles. Public demonstrations of the EZ10 have taken place in several US cities, including campus demonstrations in Texas Easy Mile is also actively involved in demonstrations across Florida in the last one year. In addition, Local Motors and IBM collaboratively developed the shuttle bus Olli in 2016. Olli is an electric shuttle designed to move students around campus or provide last-mile solutions for urban transit. These shuttles can accommodate up to 12 people at a maximum speed of 40 km/h. As with the other prototypes, Olli is fitted with state-of-the-art technology that aids in obstacle detection, avoidance, and safe/smooth navigation. It is the first self-driving vehicle to integrate the advanced cognitive computing capabilities of IBM Watson aboard its systems. In the future, Olli could employ machine vision to aid visually-impaired passengers to empty seats and excel in its ability to read and interpret sign language. Conduct a comprehensive review of technologies and vendors of automated/connected shuttle service, and coordinate with potential vendors to conduct a campus demonstration. Partner with USF and Tampa Bay regional stakeholders and obtain their input for a campus demonstration of automated shuttle service. Form USF campus expert groups to participate in the demonstration and provide technical assessment and recommendations for future deployments. Conduct field observations and a campus-wide opinion survey to evaluate the performance of the initial automated shuttle service on the USF Tampa campus regarding safety, efficiency, and functionality. Develop roadmap and partnerships of USF internal and external stakeholders for achieving campus automated shuttle service deployment. The Principal Investigator (PI) will schedule a kickoff meeting to be held within the first 30 days of Task Work Order (TWO) execution. The meeting will consist of a webinar at least 30 minutes in length, and the purpose of the meeting will be to review tasks, deliverables, deployment plan, timeline, and expected/anticipated project outcomes and their potential for implementation and benefits. The PI will prepare a presentation following the template provided at http://www.fdot.gov/research/Program_Information/Research.Performance/kickoff.meeting.pdf. The FDOT Project Manager, PI, and Research Performance Coordinator will attend. Other parties may be invited, if appropriate. Subtask 1.1: Conduct comprehensive review of technologies and vendors of automated/ connected shuttle service. Researchers will review the technologies of vendors of automated/connected shuttle service systems on the market via vendor websites, literature, and vendor-provided information and will compare their technologies, demonstration costs, and USF Tampa campus needs to determine potential vendors for a demonstration on the USF Tampa campus. Subtask 1.2: Partner with USF and Tampa Bay regional stakeholders to obtain their input. CUTR will partner with USF and Tampa Bay regional stakeholders, including but not limited to the USF Bull Runner, USF Parking and Transportation Services, Hillsborough County MPO, HART, FDOT District 7, and local transportation agencies for the initial demonstration of automated shuttle service at designated locations on the USF Tampa campus. The research team will hold a meeting to inform stakeholders of the demonstration and obtain their input, support, and participation. Subtask 1.3: Coordinate with vendor candidates for a campus automated/connected shuttle service demonstration. The research team will contact vendor candidates via teleconference to discuss 1) vendor technologies and systems for automated/connected shuttle service and 2) campus demonstration- related items, process, and timeline. Based on the information collected, the research team will further evaluate the vendors’ systems and demonstration costs and coordinate with USF Parking and Transportation Services and the USF Bull Runner and will select one vendor candidate for the campus demonstration. CUTR will work with the selected vendor to prepare the demonstration. Task 1 Deliverable: Upon completion of Task 1, the PI will submit a report outlining the Task 1 efforts to research.center@dot.state.fl.us. This deliverable will document the preparation and coordination of campus automated shuttle service demonstration. Subtask 2.1: Develop demonstration plan for automated shuttle service. Based on the results of Task 1, the research team will develop a demonstration plan for automated shuttle service on the USF Tampa campus, including number of demonstrations, demonstration period, demonstration routes, bus stops, and schedule of automated shuttle services. The researchers will coordinate with USF Parking and Transportation Services, the USF Bull Runner, the USF Student Government, and other campus stakeholders to ensure a successful demonstration. Subtask 2.2: Develop assessment methods for automated shuttle demonstration. The research team will form a USF campus expert group to participate in the demonstration and development of assessment methods. The assessment methods will cover 1) field observation of interactions among automated shuttles, passengers, road users, and traffic control devices, 2) opinion surveys and interviews of campus automated shuttle riders on their riding experience, comments, and suggestions, 3) campus AV experts’ assessments of the automated shuttle operations and recommendations for future enhancement and deployment, and 4) assessments by personnel of USF Parking and Transportation Services and the USF Bull Runner. Task 2 Deliverable: Upon completion of Task 2, the PI will submit a report to research.center@dot.state.fl.us outlining the Task 2 efforts. This deliverable will document the development of demonstration plan and assessment methods. Researchers will identify all data collection items and train student data collectors on how to successfully conduct field observations and public opinion surveys and interviews. The student data collectors will collect all data items and check the quality of the data following the data collection plan with researcher guidance and supervision. The researchers will work closely with campus AV experts to conduct needed data collection for technical assessment and advancement of automated shuttles and test their potential connections to surrounding traffic control devices or road users, if feasible. This subtask includes data analysis in the four assessment areas described in Subtask 2.2, including qualitative, quantitative, and statistical analysis. The research team will analyze the interactions among automated shuttles, passengers, road users, and traffic control devices from field observations and will assess the public opinions and interviews of automated shuttle riders. The researchers and campus AV experts will provide their assessments of the automated shuttle service regarding safety, efficiency, and functionality and will discuss the analysis results with managers of USF Parking and Transportation Services and the USF Bull Runner to obtain their input and suggestion for potential future deployment of automated shuttle service on the USF Tampa campus. Task 3 Deliverable: Upon completion of Task 3, the PI will submit a report to research.center@dot.state.fl.us outlining the activities performed during the task. This deliverable will document the details of data collection and data analysis. Based on the data analysis results of Task 3, this task will document research findings of the automated shuttle demonstration and develop recommendations based on analysis results and findings for future planning, design, and pilot deployment and evaluation. The research findings will be beneficial for future research projects on connected autonomous shuttles and/or vehicles and the implementation of CUTR’s vision for a USF automated connected testbed. Task 4 Deliverable: Upon completion of Task 4, the PI will submit a report to research.center@dot.state.fl.us outlining the activities of Task 4. This deliverable will include research findings and recommendations for future planning, design, and deployment of campus automated shuttle service. Deliverable 5A: Sixty (60) days prior to the end date of the TWO, the PI will submit a draft final report to research.center@dot.state.fl.us. The draft final report will contain details of each deliverable of Tasks 1–5 and provide conclusions and recommendations for the project. The draft final and final reports will follow the Guidelines for University Presentation and Publication of Research available at http://www.fdot.gov/research/docs/T2/University.Guidelines.2016.pdf. The report will be well-written and edited for technical accuracy, grammar, clarity, organization, and format. Deliverable 5B: Thirty (30) days prior to the end date of the TWO, the PI will schedule a closeout teleconference and will prepare a PowerPoint presentation following the template provided at http://www.fdot.gov/research/Program_Information/Research.Performance/ closeout.meeting.reqs.pdf. At a minimum, the PI, FDOT Project Manager, and Research Performance Coordinator will attend. The purpose of the meeting will be to review project performance, a deployment plan, and next steps. Deliverable 6: Upon FDOT approval of the draft final report, the University will submit the Final Report on two (2) CDs. Both CDs shall contain the report in PDF and Word formats. CDs must be labeled in a professional manner and include contract number, TWO number, project title, and date. The final report is due by the end date of the TWO and will be mailed to the Florida Department of Transportation, Research Center, 605 Suwannee Street, MS 30, Tallahassee FL 32399-0450.